T. Hickler, A. Rammig,, and C. Werner: Modelling CO2 Impacts on Forest Productivity. Current Forestry Reports, 1(2), 69-80, 2015, doi: 10.1007/s40725-015-0014-8. F. Kugler, L. Seung-Kuk, I. Hajnsek, and K. Papathanassiou: Forest Height Estimation by means of Pol-InSAR Data Inversion: The Role of the Vertical Wavenumber, IEEE Transaction on Geoscience and Remote Sensing, PP(99), 1-18, 2015, doi:10.1109/TGRS.2015.2420996. A. Toraño Caicoya, M. Pardini, F. Kugler, I. Hajnsek, and K. Papathanassiou: Forest Above Ground Biomass from Vertical Reflectivity Profiles at L-band, Geoscience and Remote Sensing Letters, 12-12, 2015, doi:10.1109/LGRS.2015.2477858. A. Toraño Caicoya, F. Kugler, H. Pretzsch, and K. Papathanassiou: Forest vertical structure characerization for estimating forest aboveground biomass. Canadian Journal for Forest Research, 2015, doi:10.1139/cjfr-2015-0052. D. Minkwitz, K.G. van den Boogaart, T. Gerzen, and M. Hoque: Tomography of the ionospheric electron density with geostatistical inversion. Ann. Geophys., 33, 2015, doi:10.5194/angeo-33-1071-2015. M. Motagh, A. Bahroudi, M. H. Haghighi, S. Samsonov, E. Fielding, and H.‐U. Wetzel: The 18 August 2014 Mw 6.2 Mormori, Iran, Earthquake: A Thin‐Skinned Faulting in the Zagros Mountain Inferred from InSAR Measurements. Seismological Research Letters, 86(3), April 2015, doi:10.1785/0220140222. T.R. Walter, J. Subandriyo, S. Kirbani, H. Bathke, W. Suryanto, N. Aisyah, H. Darmawan, P. Jousset, B.G. Lühr, and T. Dahm: Volcano-tectonic control of Merapi’s lava dome splitting: The November 2013 fracture observed from high resolution TerraSAR-X data. Tectonophysics, 639, 23–33, 2015, doi:10.1016/j.tecto.2014.11.007. F. Jonard, L. Weihermüller, M. Schwank, K. Z. Jadoon, H. Vereecken, and S. Lambot: Estimation of the hydraulic properties of a sand using ground-based passive and active microwave remote sensing. IEEE Transactions on Geoscience and Remote Sensing, 53(6), 3095 – 3109, 2015, doi:10.1109/TGRS.2014.2368831. A. Marino, M.J. Sanjuan-Ferrer, I. Hajnsek, K. Ouchi: Ship Detection with Spectral Analysis of Synthetic Aperture Radar: A Comparison of New and Well-Known Algorithms. Remote Sensing, 7, 5416-5439, doi:10.3390/rs70505416. 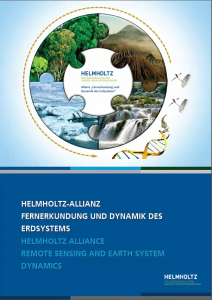 I. Schröter, H. Paasche, P. Dietrich, and U. Wollschläger: Estimation of catchment-scale soil moisture patterns based on terrain data and sparse TDR measurements. Vadose Zone J., 14-11, 2015, doi:10.2136/vzj2015.01.0008. S. Suchandt and H. Runge: Ocean Surface Observations Using the TanDEM-X Satellite Formation. IEEE Journal of Selected Topics in Applied Earth Observations and Remote Sensing, 2015, doi:10.1109/JSTARS.2015.2446893. S.Vey, A.Güntner, J.Wickert, T.Blume and M. Ramatschi: Long-term soil moisture dynamics derived from interferometric GNSS reflectometry: A case study for Sutherland, South Africa. GPS Solutions, 2015, doi:10.1007/s10291-015-0474-0. Supplementary datasets: doi:10.5880/GFZ.1.1.2015.001. S. Zwieback, S. Hensley, and I. Hajnsek: A polarimetric first-order model of soil moisture effects on the DInSAR coherence. Remote Sensing, 7(6), 7571-7596, 2015, doi:10.3390/rs70607571. S. Zwieback, S. Hensley, and I. Hajnsek: Assessment of soil moisture effects on L-band radar interferometry. Remote Sensing of Environment, 164, 77-89, 2015, doi:10.1016/j.rse.2015.04.012. J.H. Bondzio, H. Seroussi, M. Morlighem, T. Kleiner, M. Rückamp, A. Humbert, and E. Larour: Modelling the dynamic response of Jakobshavn Isbræ, West Greenland, to calving rate perturbations. The Cryosphere Discuss., 9, 5485–5520, 2015, doi:10.5194/tcd-9-5485-2015. of the Jelbart Ice Shelf, Antarctica. Journal of Glaciology, 61-229, 2015, doi:10.3189/2015JoG15J0232014. and Remote Sensing, 2015, doi:10.1109/TGRS.2015.2477168. G. Parrella, I. Hajnsek, K. P. Papathanassiou: On the interpretation of polarimetric phase differences in SAR data over land ice. Geoscience and Geoscience and Remote Sensing Letters (GRSL), accepted. T. Seehaus, M. Marinsek, V. Helm, P. Skvarca, and M. Braun: Changes in ice dynamics, elevation and mass discharge of Dinsmoor-Bombardier-Edgeworth glacier system, Antarctic Peninsula. Earth & Planetary Science Letters, 427, 2015.